This knocked my socks off- out of this world good. Hearty and tremendously flavorful, coconut dhal paired with grilled flatbread has been one of my favorite Meatless Monday experiments. Although perfectly tasty prepared this way, I'm already thinking of making it again and adding some potatoes to the mix. 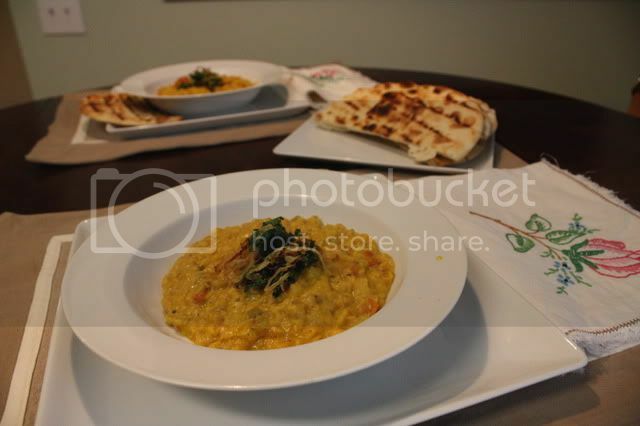 Do you have a favorite dhal dish?